Plus, Hong Kong’s splintered protest movement and China’s take on the Baltimore riots. Friday China links. The lead-off story this week: the long-awaited investigation into the finances of billionaire Wang Jianlin and his Wanda Group firms, which have grown from real estate to encompass the film and entertainment industry. The investigation, by Michael Forsythe, was the subject of a major controversy back in 2013, when the story was allegedly killed by Bloomberg’s editor-in-chief out of fears that it would incite China’s rage. Forsythe left Bloomberg soon after the controversy broke and is now with the New York Times, where he published the Wang story this week. As with previous exposés of financial ties between Party elites and big business, the piece does not allege that any actual wrongdoing took place. But the story does illuminate financial ties between Wanda companies and family members of some of China’s top leaders, including former Premier Wen Jiabao, former President Hu Jintao, and even current President Xi Jinping. In other news, Xinhua released its take on the Baltimore protests and riots in a commentary on Wednesday. Xinhua highlighted both racial and economic disparities in its piece and called on the United States to address its own human rights problems. “American democracy is under serious attack and we call upon the government to act and act swiftly,” Ngande Mwanajiti, the former head of the Inter African Network for Human Rights and Development, told Xinhua. In the latest news on China’s land reclamation projects in the South China Sea, Reuters reports that the chief of the PLA Navy, Admiral Wu Shengli, told his U.S. counterpart that American vessels could also benefit from the construction work. 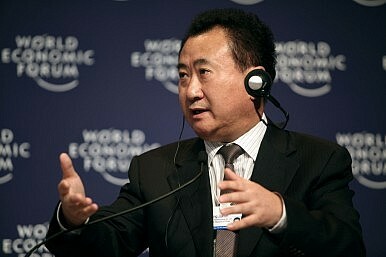 The United States and other countries are “welcome” to use the new facilities, Wu said, “when conditions are right to have cooperation on humanitarian search and rescue and disaster relief.” Wu also dismissed the idea that China’s presence in the South China Sea would pose a threat to freedom of navigation. As Hong Kong moves into the next stage of debate over the fate of legislation that would reform its electoral system, Foreign Policy has a timely article on how the protest movement has fractured since the “Umbrella Movement” of last fall. The Hong Kong Federation of Students (HKFS), one of the orchestrators of the 2014 protests, is facing schisms. Critics saying the organization itself isn’t democratic enough. Some protestors are also ready to throw out the HKFS emphasis on peaceful protests. To achieve real gains, some voices argue, protestors “need to act more like Malcolm X, and less like Martin Luther King Jr.” That has worrying implications for what the next round of protests might look like. China's private firms are going global -- and, by doing so, raising China's prestige on the world stage.